Kompatible Türsprechstellen: BTP, Grothe, Rith,o Siedle, Terraneo, Legrand, Urmet etc. Programmable via DTMF phone with 8 different commands. Non-volatile memory: programming set even in case of power supply fall. 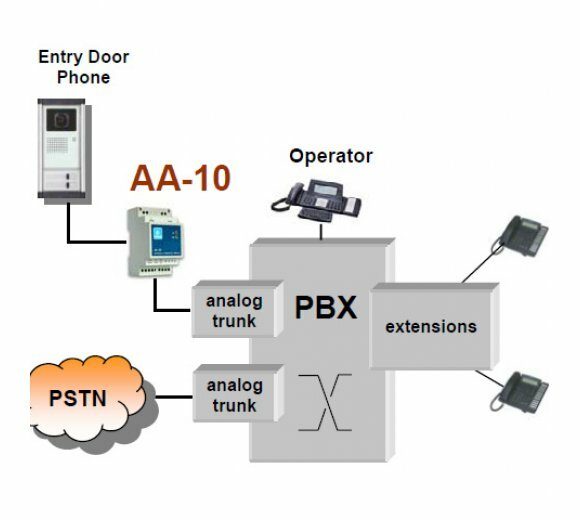 TEMA Door Phone Systems AA-10 allows to connect an existing Entry Door System (4/5 wires) to a PBX analog trunk interface. 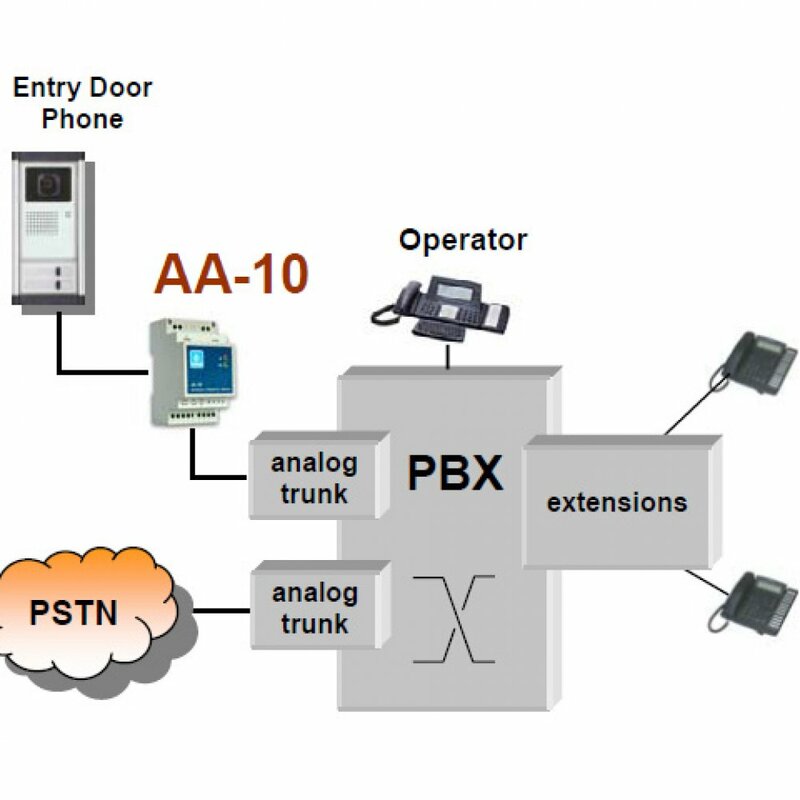 When a guest arrives and pushes the button to ask to enter, AA-10 generates a call to PBX. This call is routed to the operator or to programmed extensions. In this way is possible to execute, through a normal DTMF phone, 8 different commands as you normally would through the entry phone device: speaking with guest, open the door lock, switch on/off the lights and so on. 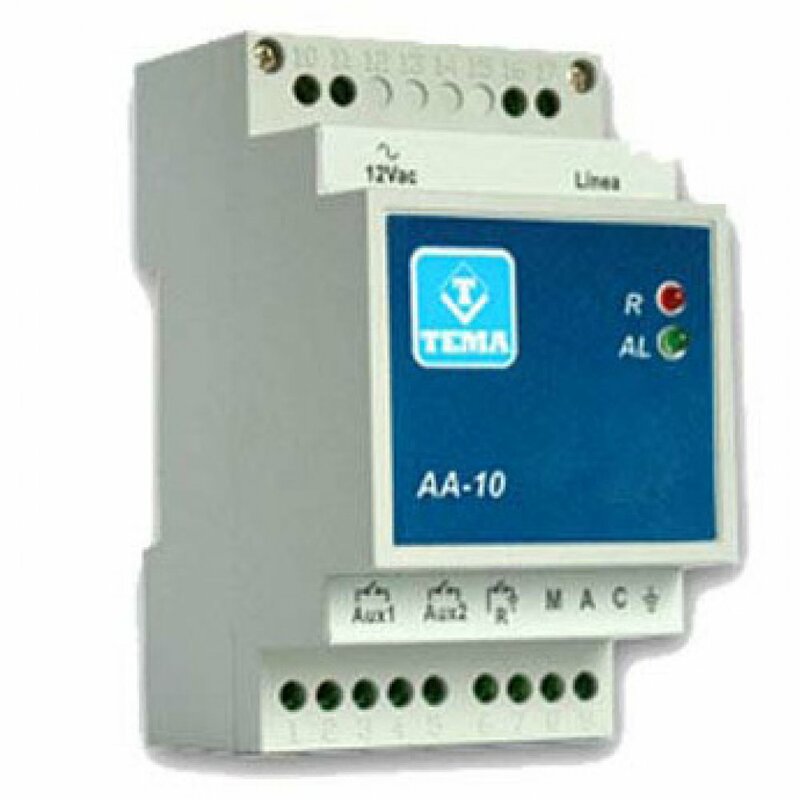 AA-10 is equipped with 1 open-door relay and 2 auxiliary relays in order to drive external devices (i.e. switch on lights). Both relays are fully programmable: is it possible to choose the number of pulses of the open-door relay and the modality of the auxiliary relays (normal or impulsive running): this features, as well as small dimensions, make AA-10 a flexible solution for several automation requirements. hamares (ex. Telebau) Türsprechstelleninterface TM lll a/b light (Made in Germany) Türmanager Weiterentwicklung für AVM FritzBox, Ackermann, Agfeo/Bosse, Auerswald, DFG-Matra, Rawe, Siemens etc - Das universellste Türinterface am Markt!